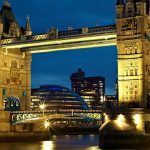 The best things to do and attractions in London includes visiting St Paul's Cathedral, the Bank of England Museum, the Lunchbox theatre, the Tower of London and what's on in the City of London. For centuries, the nucleus of London was focused on the north bank of the River Thames. It all began with the Romans who founded Londinium in 43 AD, building fortified walls running from the Tower northwards to Aldersgate and Ludgate down to the Thames. Today, the City is England's financial center and boasts the headquarters of many of the world's largest banks. The western portion of the City is also home to many notable sightseeing attractions. So, don't rush yourself through this part of London - it takes time to fully explore this fascinating area. 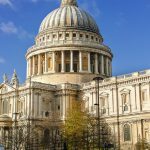 If it’s about St Paul's Cathedral, Sir Christopher Wren’s 300-year-old masterpiece never fails, with its colossal nave and crypt, glittering Victorian mosaics and mighty dome. 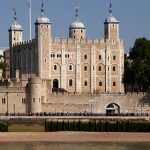 For over 1,000 years Tower of London has been a palace, prison, armoury, barracks, mint, menagerie and place of execution: three young Queens lost their heads here. As soon as you enter, check the Jewel House queue and pounce as soon as it looks manageable. The revamped Bank of England Museum charts the history of money and London, banknotes, inflation and the pesky national debt. Luckily, entry is free. Audiences got lost when the Brutalist concrete Barbican Centre first opened in the 1980s. Thirty years on, its blistering programme of music, visual arts, movies and plays draws enthusiastic audiences. Temple Music free lunchtime concerts and paid evening concerts featuring the superb choir of 12th-century Temple Church (of Da Vinci Code fame) take place here throughout the year. Another lovable ugly mug, tiled like a urinal and marooned in a nest of roads north of Barbican, the free Museum of London is a box of delights. You know you’re at Dr Johnson's House when you see the statue of Hodge, his pet cat, in Gough Square. The London Metropolitan Archives are in Clerkenwell, but hold vast quantities of information – visual and verbal – on the City and stage exhibitions, talks and shows on everything from Town Planning to photographs in family history research - much cooler than it sounds. Bloomberg, the financial information giant practically owns Finsbury Square, its European HQ is so huge, and its Bloomberg SPACE is equally cavernous, open to the public and free. The Barbican-based London Symphony Orchestra’s community and education initiative, LSO Discovery occupies a Hawksmoor church on Old Street. 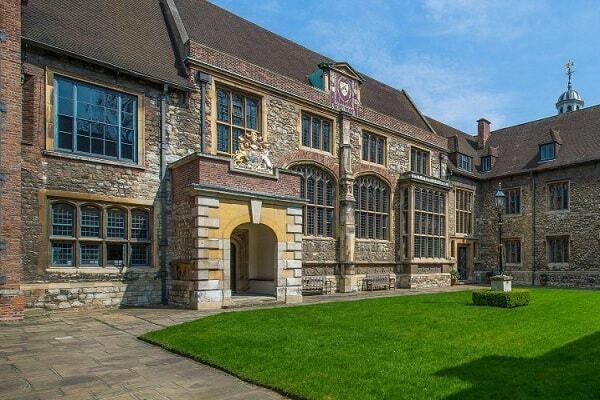 Its performance space, the Jerwood Hall, is a respected concert venue. 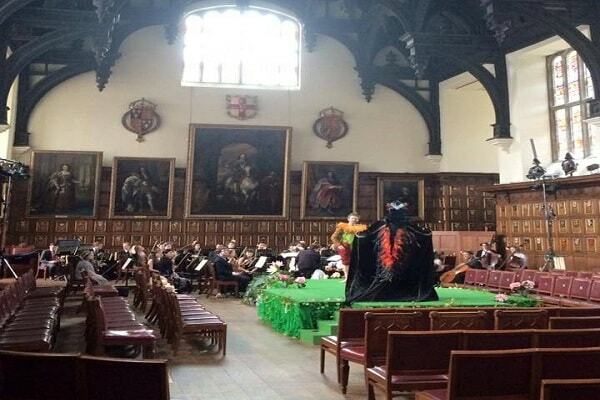 Catch free Friday lunchtime concerts, showcases introducing new players and local choir concerts that sometimes feature old street songs from the area. The Guildhall Art Gallery opened in 1999 to house the City’s stupendous art collection, with works by Constable, Millais, the Pre-Raphaelites and a mighty canvas by John Singleton Copley. Put a spring in your step with Swing Den and Bishopsgate Ballroomdrop-in dance nights on selected Fridays in the Great Hall, Bishopsgate Institute. The Artist as Collector runs until May 25 at Barbican Art Gallery and shows the collections of artists such as Peter Blake, Howard Hodgkinson, Edmund de Waal and Andy Warhol. The Temple Spring Concert series starts on March 19 in the historic round church shared by the Inner and Middle Temples. For example, on April 29 ‘Songs of the Sea’ is performed by singers Julius Drake & Friends, with readings by Rory Kinnear. The eastern part of Central London is made up of number of business and residential districts, including Clerkenwell, which is situated in the City of London. The Clerkenwell area is located within the London Borough of Islington and is home to some of London's top restaurants, including St Johns and the Michelin starred Club Gascon. Clerkenwell is a mixture of fashionable commercial and office premises alongside high end residential housing. Goswell Road, City Road, Farrindgon Road and Old Street are the main roads within the locale. Liverpool Street Station is situated in the area and provides both London underground services and mainline services to a wide variety of UK destinations, along with an Express service to London Stansted Airport. The Liverpool Street area is a major financial district, home to many bank headquarters and financial institutions. 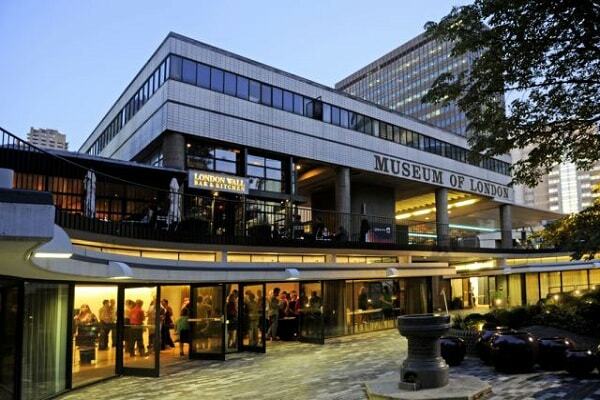 The Barbican Arts Centre and the Museum of London are situated within The City , as well as the famous "Gherkin" building. The Spitalfields area, within the London Borough of Tower Hamlets, is home to large number of modern office buildings, situated between Bishopsgate and Spitalfields Market, on the Commercial Road. Old Spitalfields Market is considered one of the finest Victorian Market Halls and provides a selection of eclectic stalls and niche shops, including antiques, fashion and fresh food stalls. Spitalfields is also renowned for its arts scene, with a number of famous artists residing there, including Tracey Emin and Gilbert and George. Brick Lane, a popular nightlife spot, is just a short walk away. Out towards Old Street you will find the fashionable Shoreditch and Hoxton areas, situated in the London Borough of Hackney. Shoreditch and Hoxton, renowned for their "trendy" image, are home to a large number of art galleries as well as restaurants, clubs, entertainment venues and bars. 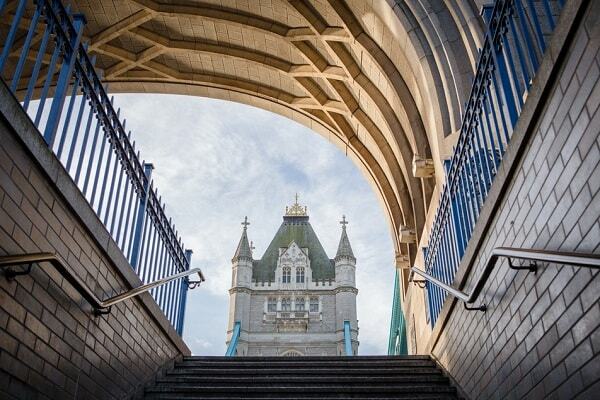 The Tower Hill and London Bridge area stretches from the River Thames up to Aldgate. 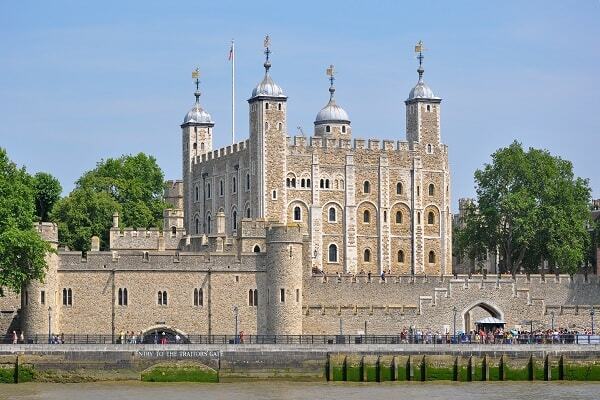 Tower Hill is the location of The Tower of London, London Bridge, the Royal Fusiliers Museum and Lloyds of London. It is also the site of the Tower Hill Memorial. 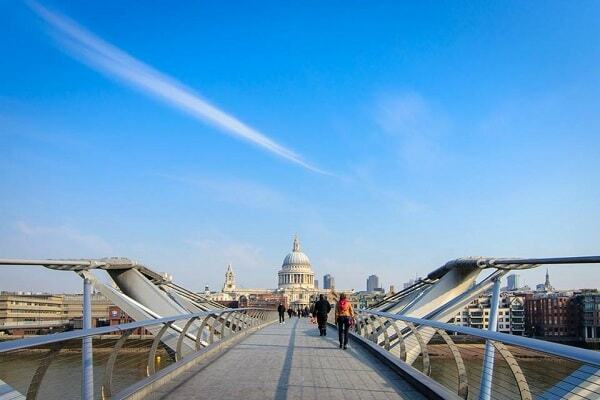 Holborn, St Paul's, Temple and Fleet Street are all situated in the eastern part of Central London, home to St Paul's Cathedral, St Brides Church and Temple Church.